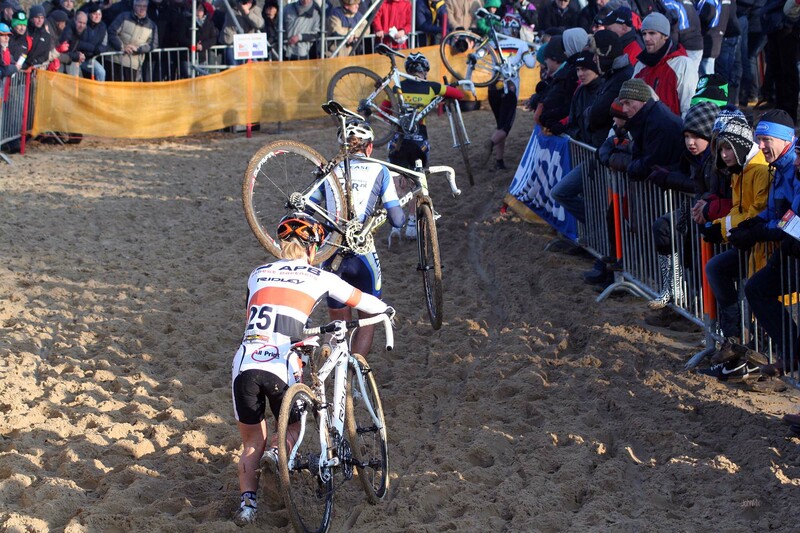 The ‘Vlaamse Duinencross’ is a much loved round of the UCI World Cup Cyclo-Cross series and is held at Koksijde, Belgium in the Autumn. 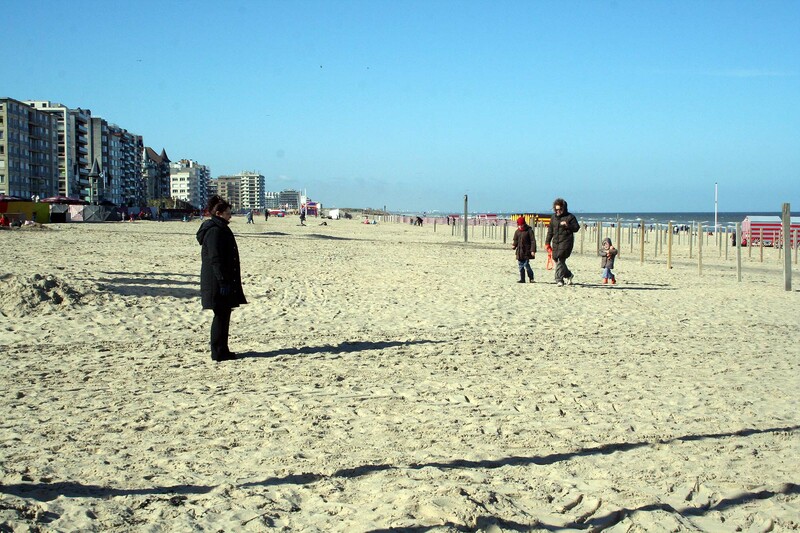 Koksijde is situated near the popular holiday resort of De Panne, close to Dunkirk, Eurotunnel and the Channel Ports making it a magnet for UK fans. 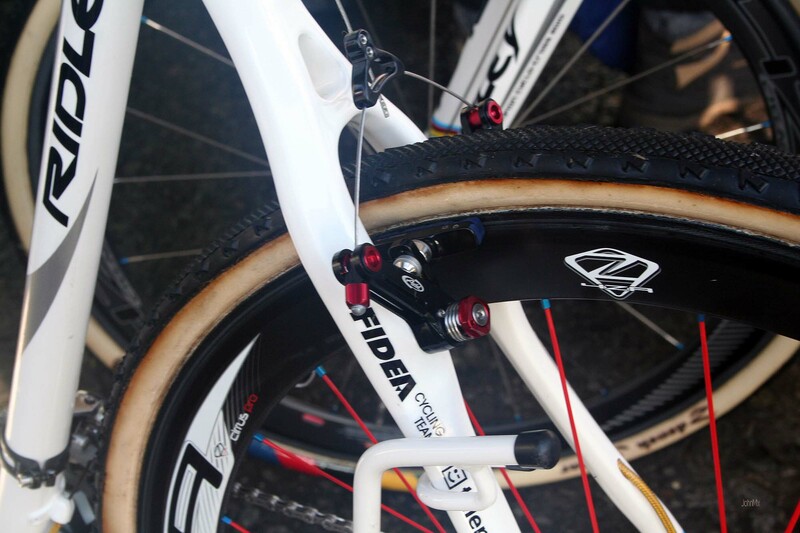 If you are yet to visit a Belgian cyclo-cross then this is your chance and don’t be surprised if you bump into many people you might know (Belgian Cross Experience). Koksijde is the home of the ‘Hoge Blekker’ (and 21,000 plus people), the highest dune on the Flemish North Sea coast, West Flanders. The racing is held on the sand dunes adjacent to a Belgian air force base, a holiday camp and Koksijde, in an amphitheatre like landscape. The huge sand dunes reverberate with noise, the air is tinged with the smell of frites and you can almost taste the ‘Smeets’ on the breeze. Being a regular haunt of Belgium holidaymakers the town of Koksijde and more so the nearby holiday resort of De Panne feature many cafe’s and chocolate shops. The old town centre of Koksijde lies two kilometres from the sea shore and the tourist resort of De Panne where sandy beaches stretch far into the horizon. So do take your bucket and spade. Of interest in Koksijde are the ‘Abbey of Ten Duinen’, the ‘Paul Delvaux Museum’ and a ‘Commonwealth War Cemetery’. Away from the sand and sea at De Panne there is ‘Plopsaland’ a theme park for young children. The Abbey of Ten Duinen dates back to 1107 and closed when the last monk died in 1833. It is now a museum outlining Cistercian life from the early ‘middle ages’. Whilst the St-Idesbald Museum houses a large collection of paintings of Paul Delvaux a Belgian surrealist painter. The Commonwealth Military Cemetery highlights how little of Belgium has been free of war in the 20th Century and the graves that lie within the Sir Edwin Lutyens designed plot mark not only World War One, but also the battle of Dunkirk in World War Two. The Koksijde cemetery or ‘Coxyde’ as it would have been known to the fallen, contains 1631 graves with sister cemeteries within the immediate area; 3,500 plus buried in the Belgian Military Cemetery at De Panne and more at nearby Adinkerke, These sites bear witness to Koksijde being just 10kms from the front line in WW1 during the battle for Ypres (Riding the Kemmelberg). Just under two decades later in May 1940 the British Expeditionary Force were forced into a fighting retreat along the Nieuport-Veurne-Dunkirk Canal to the beaches at Dunkirk and their subsequent evacuation back to Britain. In this retreat some 11,000 British soldiers died, 40,000 were captured and 20,000–30,000 German’s were killed or wounded. To further help illustrate the size of this retreat the British lost 50,000 vehicles alone. These figures do not count the lost French and Belgian military and civilian lives. Within the Koksijde Cemetery are the graves of three soldiers shot at dawn. In WW1 there were 200,000 British/Commonwealth Court Martials for various offences of which 20,000 servicemen were found guilty, 3,000 sentenced to death and 346 were executed. All those shot for ‘cowardice or desertion’ were ‘pardoned’ in 2006. Shot for desertion were Frank Cheeseman, 29 of Redhill, Surrey and William Wycherley, 24, both in 1917. 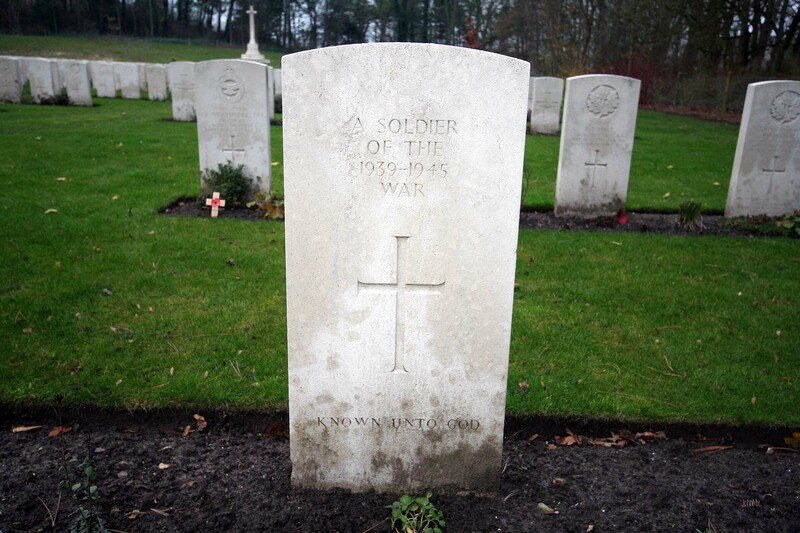 The third ‘shot at dawn’ soldier at Koksijde is Arthur Oyns, 31, who had been found guilty of murdering a fellow British soldier also in 1917. So spare them and all others a thought as you watch the cyclo-cross or you paddle in the sea at De Panne.